The core blog are articles about experiences we have had. Read on or teach categories below. Where Are We Now – Can be accessed by clicking, at the top menu or the sidebar icon. It is a real-time tracking mini-blog that follows our travels offering pictures and notes about locations. Chill Traveling is a state of mind, lifestyle, and philosophy. SeeLevel is a made up word that describes a chosen mode of transportation. They are mutually exclusive and inclusive. 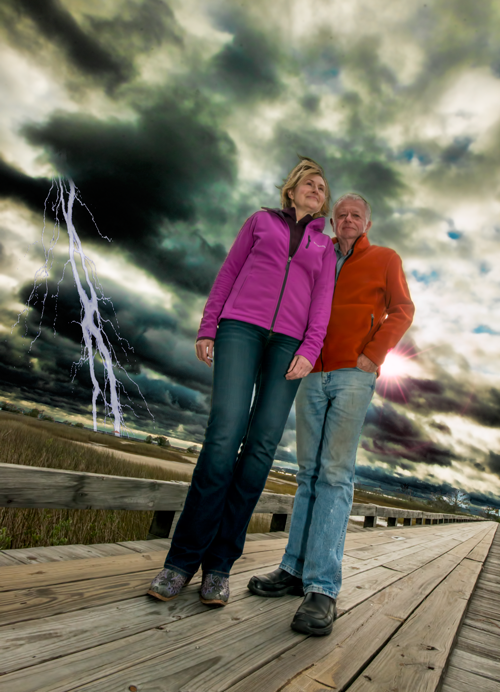 Bob Root and Wendy Steele are the Chill Travelers. 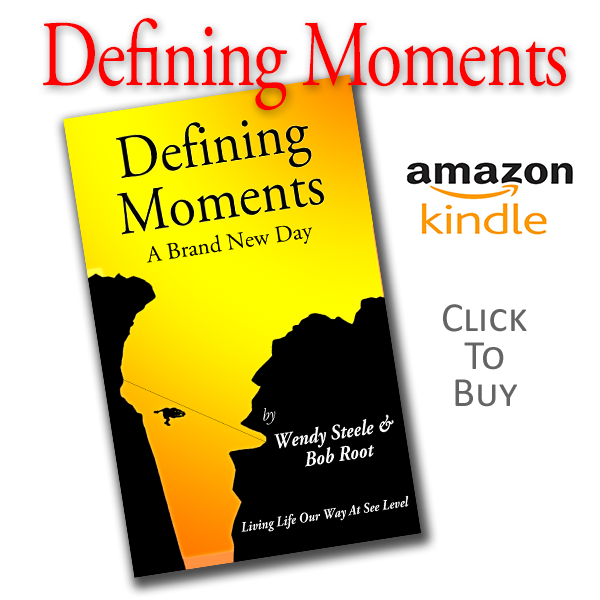 Bob and Wendy are best friends, travelers and married to each other and their nomadic lifestyle. A chance meeting in 1993 in Santa Fe caused them to shed their corporate careers, move onto a boat in San Diego and begin an exciting journey. These were not lightweight corporate types. 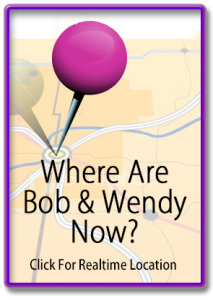 Wendy was a Vice President of Coca-Cola Enterprises and Bob a high tech CEO in Silicon Valley. Wendy on the east coast and Bob in San Jose California would have challenged anyone in maintaining a relationship, but for them, it seemed effortless. 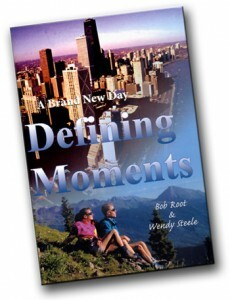 So profound, they wrote a book titled Defining Moments; A Brand New Day about how they met and came together. The book is available on Amazon.com or on their website. It is a fast read that gives you a sense of what they went through to be together, Wendy surviving Cancer and a decision to change their lives forever. SeeLevel and what inspired this website. Bob received a call from an old friend who said, “well you finally did it didn’t you?” She said “I just saw the trailer for the new George Clooney movie “Up in the Air” and you sold your story didn’t you?” Bob had heard about the movie that focused around a very secret American Airlines Advantage program frequent flyer program that features a black card and an icon on it with the flyers rating in “Millions of Miles.” He laughed and said, no, but I wish. And yes, Bob has a card emblazoned with 3 Million Miles. Sad, but true, this elite card represented Bob’s corporate life. 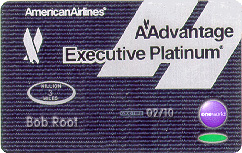 Sadly too, it was not the only frequent flyer card he carried and not the only top-level program that he was a part of. Worse, these commercial flying programs did not record his time in corporate jets. Wendy carried similar cards as badges of stupidity and not courage. 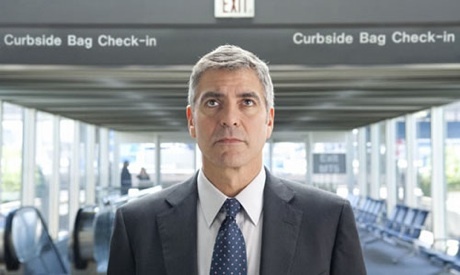 Unlike Clooney’s character neither was proud of a lifestyle at 35,000 feet. Though their corporate lives brought them together, it did not mean that they paid that lifestyle homage. The term SeeLevel is one that they made up based on their collective experiences flying around the world on business. Each recounted that they would sit in their aisle airline seats working. Usually upgraded to first class, they liked that perk, not because of the seats, food or treatment, but because they could be first on and first off the flights. Running hard, they both lived a breakneck pace until their meeting in Santa Fe. Over the next year, the aisle seat was traded for a window as each of them watched below as they passed great places like White Sands, the Everglades or the Grand Canyon. When they talked on the phone about where their latest trip took them, they both lamented that “Wouldn’t be nice to see some of those places at ground level. Wouldn’t be nice to travel about the US at SeeLevel. A dream or a goal? Since January of 2009, Bob & Wendy have lived full-time in their truck-based coach affectionately named, “The Grizzly!” Aiming to be homeless, they put their home on the market near Annapolis, MD on the market in 2007. The market crash for housing saw a few low-ball offers which prompted them to take it off of the market and rent the property in early 2009. In 2015 all houses were sold. Reading Bob & Wendy’s book, you get a sense that they also may have had a hand in the movie, “The Secret.” This was a movie about the power of intention. A line from the movie said, “Energy flows where attention goes.” To both this symbolized their coming together and creating a business that finds them traveling America at SeeLevel. Although this movie came out well after they wrote their book and changed their lives, it indeed symbolizes their lives. The part of Defining Moments that they wish they never had to write Wendy’s diagnosis of Melanoma. 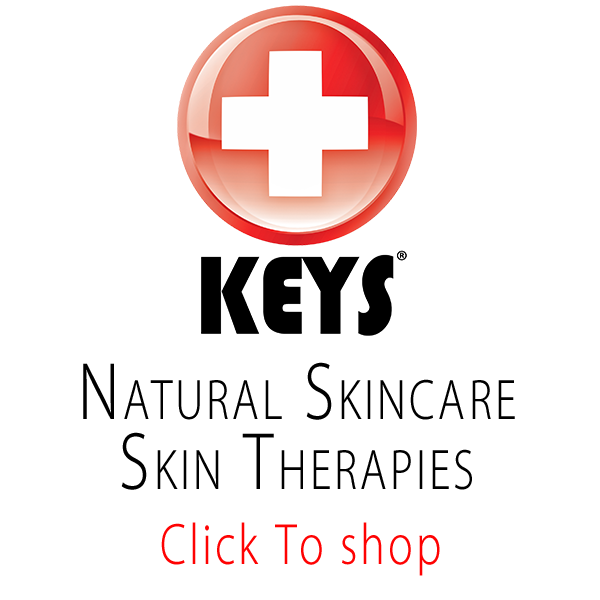 It was a wakeup call and the beginning of some profound changes that includes their current business of marketing and manufacturing their line of chemical-free skin care products. Keys care is Bob and Wendy’s business, and SeeLevel is their lifestyle and how they run the business. Chill Travelers are not just Bob & Wendy. They are people that think alike. They are people of positive intention that have no sense of entitlement. They are people that give without a plan of receiving. Said, Chill Travelers receive with great appreciation. Their currency is knowledge, and their religion is energy, enthusiasm, and wonderment. They are a different breed that operates throughout their lives with a sense of curiosity and fluidity. Chill Travelers are no specific age group, position, wealth or mythical status. They are like-minded freaks and are proud of it. They are typically irreverent with little tolerance for &status quo. They are not judgmental, and they are intensely curious. SeeLevel is a not way of travel. While some choose to do it on the road, anyone that stops and spends time experiencing things, people and places are doing it at SeeLevel, this site is for everyone that feels that they must travel to be free and who thirst for life’s experiences. 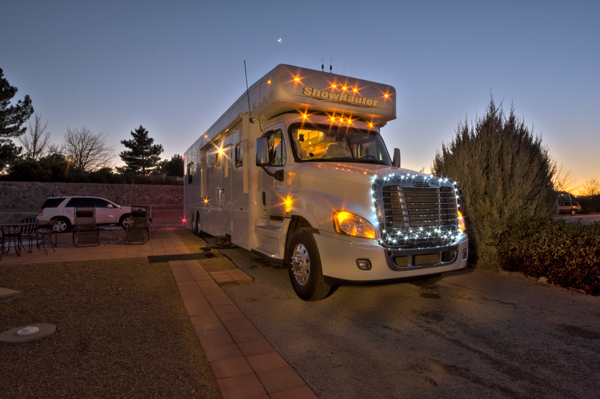 Bob & Wendy have traveled over 100,000 miles on the roads of America and Canada for their business. Initially, they traveled in a traditional motor coach pulling their car around the country visiting dealers, customers and attending tradeshows. In their desire to see more remote areas, they built a custom coach affectionately dubbed, “The Grizzly.” This custom coach, based on a Mercedes Freightliner 18 wheeler chassis, is more robust and was designed to be off-grid for up to two weeks. Further off the main highways, they have been able to get closer to the things they want to see, hear and feel about life at SeeLevel. 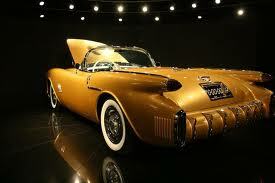 They can be in LA working for a week and head to the Mojave Desert for the weekend. 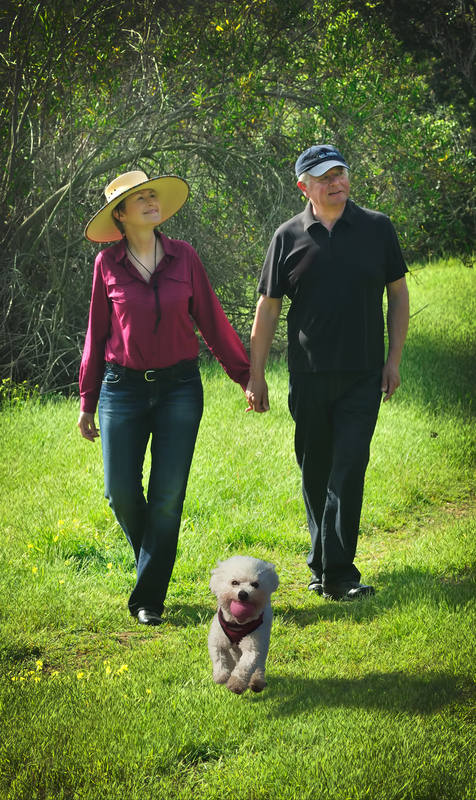 This lifestyle was not possible with the traditional RV they lived and worked on. The “Grizz” gives them the freedom to operate more at SeeLevel than they ever could imagine. Along the way, they have met some interesting people, new friends, old friends as well as learning a lot about living at SeeLevel. Great places to stay, great places to eat and great places to meet real people inspired this website. Originally, SeeLevel was intended to be a traditional paper book, then the idea of an electronic book struck them. The problem is that books are static. Their life is so dynamic that capturing what they have learned, seen and found seemed as though the book idea would never be finished. The perfect solution is a website that has some very specific architecture. Travel, People, Photography and Music and Life, are their journey and there is no destination. No going back, only forward. Christmas in Mesilla. There is Something Different Here! 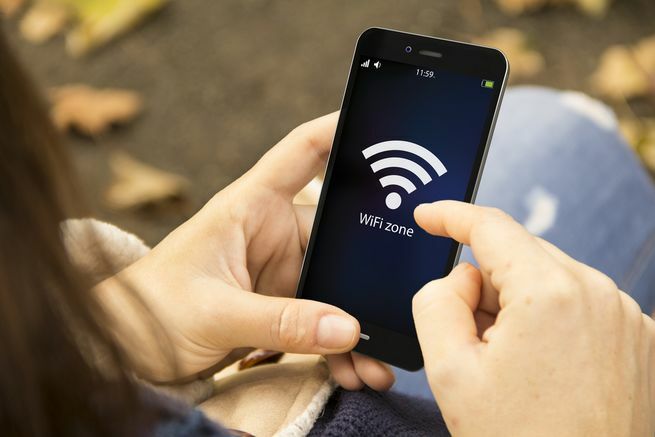 Wifi Hell – Who is Throttling My Bandwidth?